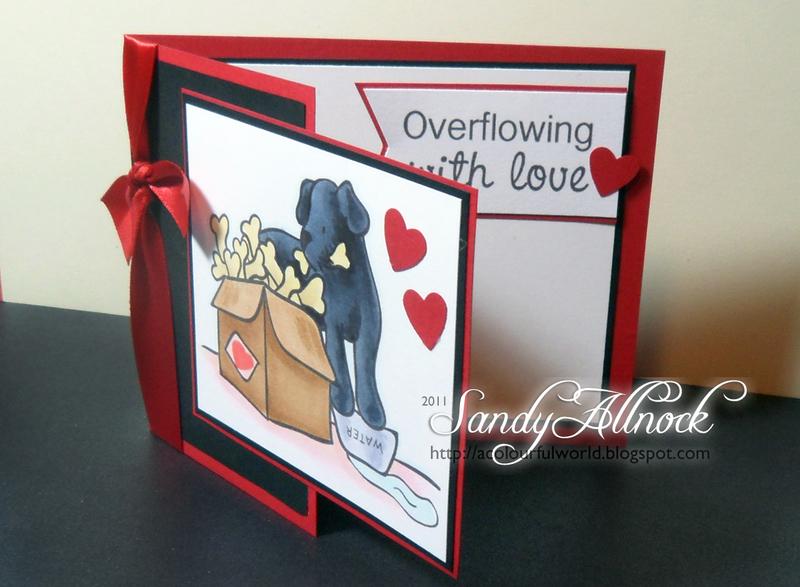 Happy Saturday OWH card makers! It's Jan checking in again today to let you know we have a K 'n K Designs OWH Fundraiser blog hop going on! You'll see lots of fabulous cards made with K 'n K Designs & Dee Dee Anderson's special OWH images like the one above! There's a fabulous prize package being awarded to 2 lucky winners from K 'n K Designs too! We hope you have time for some inspiration and eye candy hopping along with us this weekend!! I love that everyone does something different with the sticker on the side of the box. Wonderful coloring on the card -- this is my favorite digi. Thanks for the inspiration. I hope to get to some cards today -- but first I have to finish my filing organization - then on to some fun. What a cute image & card - great coloring too, btw! I love the coloring on the dog. He's clearly black, but not solid black. That's something I can't achieve with my markers and I'm a little envious! That card is very nice to look at. Not only kids appreciate it but also the adults. I love the colorful design as well.